Billie Holliday 20×16 mixed media on canvas, by Chaz B. 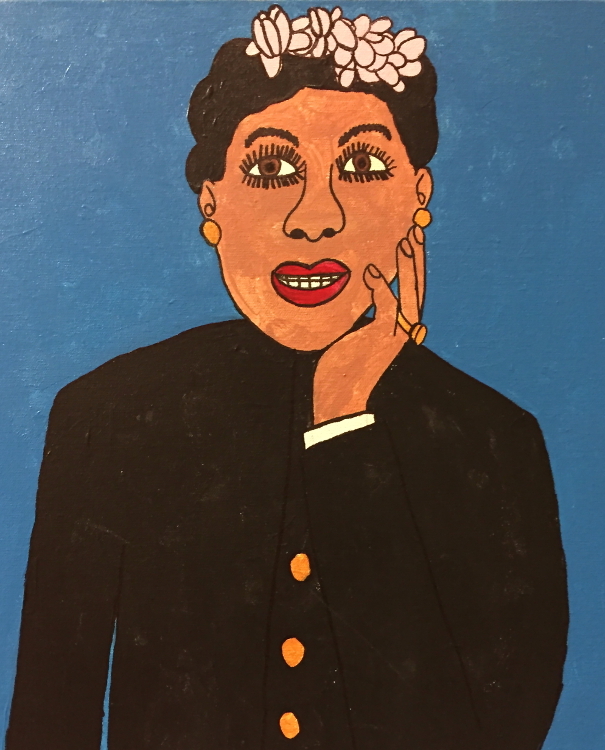 Visit WNED’s Horizon Gallery to view the American Music exhibit, featuring paintings inspired by Jazz and Blues by the artists of Autism Services. The opening reception on April 12 will feature a performance by No Words Spoken.